Vacation plans – I mean, it is a shame not to go someplace and enjoy the warm Summer weather. How white my legs are – like Foster Farms chicken pieces laid beneath clear plastic wrap in the grocery store, my legs are that same yellowish-white color. It is embarrassing. Why is it that I only notice them well into official shorts weather? Sunglasses – I don’t really wear sunglasses at all, except in Summer. So the new season always puts me into a panic until I have located my stash of prescription and non-prescription sunglasses. I’m always scared that I have lost them. Hamburgers and hot dogs – both of these foods become my favorite when Summer hits. Nothing like them hot off the grill. Garden hoses and nozzles – Summer means plant watering and so it is time to drag all our watering equipment out of the shed and install them into spigots in the front and back of the house. Weight – how I wish I would have stuck to my beginning-of-year diet so that I would be all thin and buff this year when I remove my shirt and jump into the swimming pool. I also think a lot about what Summer music I will be listening to in the car or around the pool and which of these songs will be the favorite hit of the Summer. I already know my first Summer song choice for 2012. It’s from ‘We Are The In Crowd”. They are an American pop punk band from Poughkeepsie, New York, formed in 2009. If you are like me, you are saying what is pop punk? Pop punk is a music genre that combines elements of punk rock with pop music, to varying degrees. The genre is a strand of alternative rock, which typically merges pop melodies with speedy punk tempos, chord changes and loud guitars. Think Green Day. Whatever it is, I’m a fan with ‘Kiss Me Again’. It’s Summertime!! Not only have we made it through another week, we’ve made it through another season. Be happy and celebrate with some pop punk and, if you are really talented, bust out all of your old punk rock moves and astound your family and friends. In other words, have fun dancing while you watch the horror on other people’s faces who are watching your hot dance moves. Just don’t get too over-heated…remember, it’s 100 degrees outside. It’s graduation time everywhere I turn here in Connecticut. When I was little, families only celebrated when you graduated from high school. 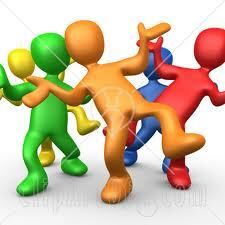 Today, we are going to parties to celebrate graduations from elementary school, junior high school and high school. I guess the more parties the better, right? While I like to go to a graduation party, I have always tried my hardest to get out of times where I was invited to go to the actual graduation ceremony. I find them extremely boring…..really, so boring they are painful. The truth be told, I find them so boring that I didn’t even attend my own college graduation. I had the college send me my diploma and instead of going to my own ceremony, I enjoyed a long vacation in New York. I think I don’t like the ceremony because of the speakers that are there to encourage the youth. I have always cringed at the speakers that are chosen for graduation ceremonies. What really can these speakers say to the young ones that is not cliché and something we’ve heard a thousand times. Unless you can nab Obama or Oprah to speak at your graduation, you should just skip it in my opinion. I say all this about graduation speakers and their weak speeches and then I kind of do the same thing this week. Someone at work asked me what advice I would give to a young employee and I said without hesitation one of the oldest pieces of graduation advice ever given: “never give up”. Even though it’s true, it is a lame piece of advice. I’ve been in the working world over 25 years and this is the best I can do? I guess I understand why I’ve never given a graduation speech. So my piece of advice, in all its wisdom, is why this week we are listening to Alex Clare’s song ‘Too Close’. The actual song and the album it was on bombed when it was released in 2011. Fast forward to now and have the song used on an Internet Explorer commercial and you come back with an instant hit. Just goes to show you to “never give up” and you can have a hit with whatever it is that you do in life. I’m a prophet! 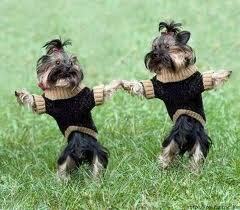 So enjoy the song and dance while listening to it. You made it through another week…you deserve it. This is a story about albums that I have loved, but am now embarrassed by the fact. Everyone has them. Those stacks of albums, cassettes, CDs or whatever medium you use that you can’t believe you bought. It’s one thing if you bought them and didn’t like them. It’s another thing to buy them and like them and then, years later, realize how embarrassing it was for people to have heard you listening to it or, even worse, singing to songs on that particular album. Kids of today have it much easier. They can download a particular track. They don’t have to buy the whole album or CD to get one favorite tune. They can listen on their iPhones or iPads to particular genres on apps like Pandora. They don’t have to go to a record store like I did and ask the clerk for advice on a new music type. I walked into Record Shack in Iowa one day as a teenager and remember asking the 40ish year-old woman if she had ever heard of a music genre called rap. And if she did, could she make suggestions on a rap CD I could buy? She could not. In our day, it was more trial and error. You bought as many duds as you did great collections in order to stay hip and current. In 1975, the Captain and Tennille came out with ‘Song of Joy’. The actual tune, ‘Song of Joy’ was to become the last song they sang each week on their ill-fated prime time variety television hour. I knew all the words. Each week, my parents would be forced to sit in their recliners and watch the Captain and Tennille entertain and, at the end of each show, watch me join in as they played and sang through their signature goodbye song, ‘Song of Joy’. Towards the end of the first and only season of their variety hour, I was able to sing harmony to Tennille’s melody. I’m sorry Mom and Dad. As a side note, this album also spawned the song ‘Muskrat Love’ which I played so often that the needle from my stereo actually destroyed the grooves on the album. 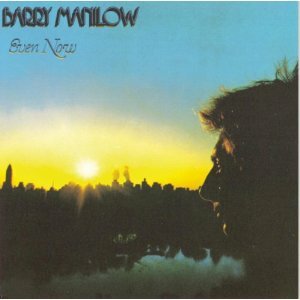 In 1978, my main man Barry Manilow released ‘Even Now’. I had several Manilow albums in my stash already, but this album is the one that always sticks out in my mind. While it contained three of my favorite Manilow hits, ‘Even Now’, ‘Can’t Smile Without You’ and ‘Copacabana’, there was always a sadness in my heart when I listened to it. I knew that Barry’s world dominance was coming to an end. This album was one of the first where I realized that I was going to have to work it if I was ever going to be in entertainment (which I am not). I would sit on my bed and belt ‘Even Now’ out in a manly, yet sensitive seating arrangement. 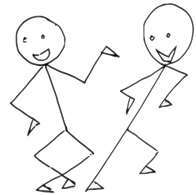 I even introduced a light dance number to the interlude on ‘Can’t Smile Without You’ just to spark things up a little when I sang it in my bedroom. I also asked our local barber in Iowa if he could cut my hair just like Barry Manilow’s. I think that I may have been asking for a mullet, but I thought it was perfect for me. Barry’s hair was always ‘business in the front, party in the back’. 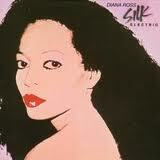 In 1982, Diana Ross released ‘Silk Electric’. The big hit on this album was ‘Muscles’ written for her by her friend Michael Jackson. At the time, I was into some sports like wrestling and track (although not great at either) and therefore thought I had an incredible body. Let me re-phrase….I did have an incredible body at that time, but didn’t think so. Now that I am a troll, I realize what a waste of time that was thinking I needed to be in better shape. I should have worked it more! Let me tell you right now that there is not a man on Earth that should ever, ever sing ‘Muscles’ where anyone can hear them or could possibly hear them. There is no good that can come of it. Yet, I was proud to sing along to the radio in front of my friends. I’d sing over the buzz of a loud party when it came on so that everyone knew that I knew all the words. I was proud of that. Sometimes I would flex my arms to really get into it. Again, not good. Don’t try this at home. My roommates in college during 1985 were listening to new music that their parents would never allow them to listen to at home. I am remembering Rush and AC/DC. 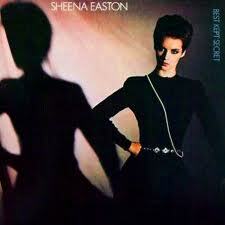 I was listening to Sheena Easton’s ‘Best Kept Secret’. ‘Almost Over You’ was my favorite. Again, any ballad is a good ballad to me. I listened in my college dorm room to this song when I was happy and I listened to this song when I was sad. 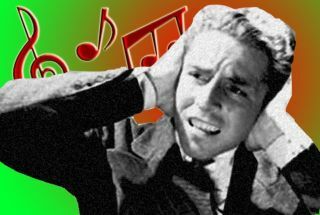 For Christmas that year, my college dorm roommate gave me headphones that worked with my stereo. He said he had heard enough of Sheena Easton and that song. I was stunned. As a side note, I gave every girl I knew the fashion tip to wear her pearl necklaces at an angle like Sheena did on the cover. I didn’t date once that year. In 1990, I had moved to San Francisco and was enjoying the whole new R&B and hip/hop scene. 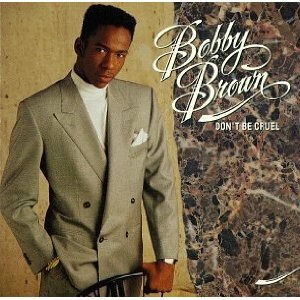 Bobby Brown’s ‘Don’t Be Cruel’ was the album to own if you liked this kind of music. There is nothing wrong with this album and the music on it. ‘My Prerogative’ is still one of my favorite tunes and I listen to it on my iPod even today. 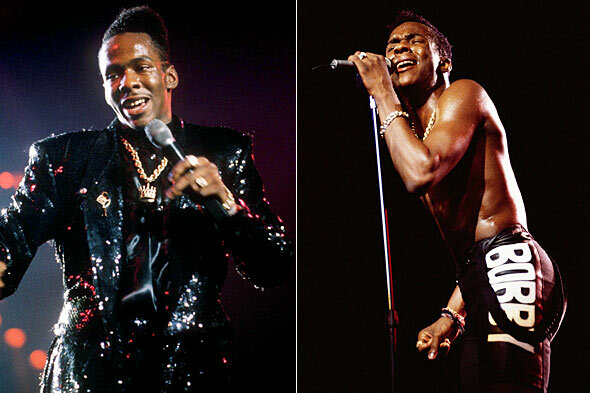 It is probably (and unfortunately) Bobby Brown’s singular contribution to the music scene before he turned into the crazy Bobby Brown he is today. The problem was the clothes. I filled my closet up with double-breasted suits that had huge, stuffed shoulder pads in them. Tab collar shirts buttoned all the way up to the neck were all I wore. As the album got hotter and hotter, my shoulder pads got bigger and bigger. My hair got shorter and shorter on the sides and higher and higher on the top. I saw Bobby in a sequined blazer at one point and exhausted several department store sales people in a massive hunt to find a match. This is the truth….see the jacket in the picture on the left. I was cool while this style was popular. However, after it wasn’t popular anymore, no one told me. When a woman in a club looked at me circa 1992/93 and called me a ‘Sad Bobby Brown’, I knew I needed a makeover. It was my prerogative to change, so I packed up my suits and tab-collar shirts and put them away for another time when they would be back in style. They say that the truth will set you free. Telling you about my embarrassment and shame around these albums is helping to release me. Again, there is nothing wrong with the music on any of these albums…they are not duds. It’s just that hindsight is 20/20. Looking back 20 and 30 years later, what was I thinking? Thanks for reading. I’m off now to download a couple of these songs onto my iPod. At least I can listen to my iPod in secret with my ear buds and no one will even know what I’m lip synching to in my bed room. What albums do you still love but are embarrassed to admit…be honest?